Winter starts officially today, in places. Winter tyres or snow chains are needed in northern Italy while the first mountain pass has closed. Also, as road deaths rise again, a plan is unveiled to cut road tolls in France, and abolish them entirely at weekends. But is it serious? Fuel prices have undergone a major hike in Romania. Traffic keeps rising in Belgium despite a constant number of cars. A £500,000 caravan goes on sale in Birmingham. Porsche and Land Rover both come a cropper. Drivers need winter tyres/snow chains in northern Italy. Albula Pass is closed. 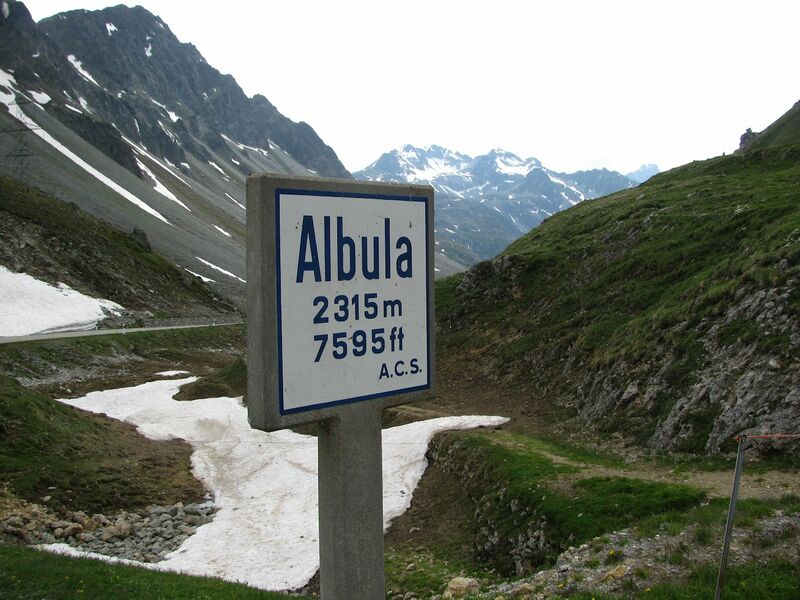 Switzerland’s Albula Pass is the first mountain road to close for the winter. Winter officially kicks off today in parts of the Continent. Drivers in the Aosta Valley in northwest Italy, between Turin and Geneva, must have winter tyres from 15 October, or carry snow chains, in case of snow. This includes the A5 Autostrada south of the Mont Blanc Tunnel. In other mountainous part of Italy winter normally starts on 1 November (or from 15 November in the rest of the country) but already winter tyres/snow chains are needed in the Agordina Valley – on the SP347 Passo Cereda and Passo Duran – in the Dolomites. See the CCIS website for exactly when and where winter tyres/chains are needed in Italy. Winter rules kick in on 1 November in Austria, 15 November in Slovenia and 1 December in Sweden and Finland. Drivers need winter tyres in Germany at any time of the year with snow and ice on the road. Catch up on winter tyre rules around Europe here. Meanwhile, in case of ‘wintry conditions’ in Luxembourg, drivers should have had winter tyres fitted from 1 October (though this is disputed). Police are out and about this week carrying out random headlights and tyre checks. Since there is no snow or ice on the ground nobody will be fined for not having winter or all-weather tyres (either way marked with any combination of M and S). Officers will be concentrating on tread-depth: the legal minimum is 1.6mm but 4mm is recommended in winter. While snow has been seen this week on France’s 9087ft Col de l’Iseran mountain pass – many super-high passes have snow all year – according to the ADAC Alpine Road website, the only pass closed so far is Switzerland’s Albula Pass, between Davos and St Moritz. £500,000 for a caravan, are you mad? 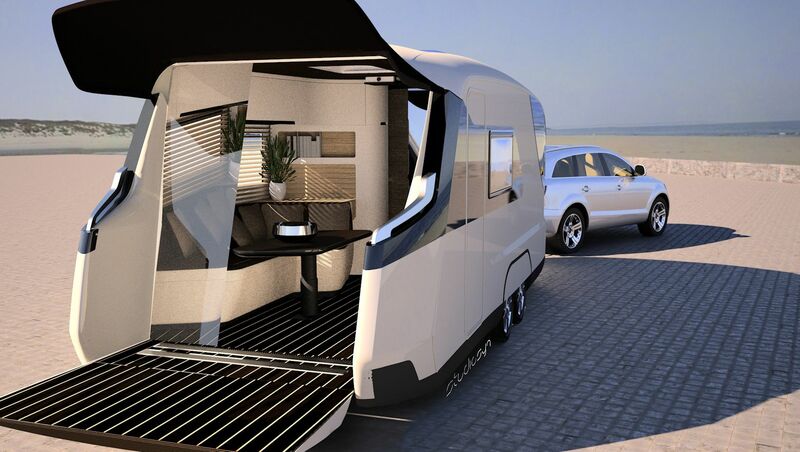 German manufacturer Knauss Tabbert thinks the cost of its Caravisio ‘caravan of the future’ concept – unveiled at this week’s Motorhome and Caravan Show in Birmingham – is entirely reasonable considering it features finger-print activated biometric security technology, an integral outdoor terrace, wine cellar and king-size double bed within its aerodynamically-optimised 9×2.5m fibreglass shell. The reactive-glass sliding rear doors double as a cinema screen. Something similar could be on sale in two years says the company but if you offered them half a mil now you could drive it away today (or after the show ends on Sunday). roundup: FRANCE. Road tolls cut by 10% – and made free at weekends – plus a 10% levy on the profits of motorway operators have been proposed today by Ecology Minister Segolene Royal (former partner of President Francois Hollande) says The Connexion. It follows the ‘indefinite suspension’ of the truck toll Ecotaxe system last week – and a critical report on road profits last month – as the govt looks to claw back lost revenue, originally intended to improve public transport. It’s not clear if it is a serious plan, or a threat to bring road operators to the table – their contracts lock in price rises until at least the middle of the next decade. Meanwhile, road deaths edged up 1.3% in September after several months of falls (following the sharply upward trend earlier this year). Over the past twelve months the numbers killed are up 0.5%, mainly pedestrians and cyclists – motorist numbers are down 2%. ROMANIA. Fuel prices have risen by around ten percent this year, faster than anywhere else in Europe says Romania-Insider.com. The rise is mainly down to a 7c/l infrastructure levy introduced in April. According to FPE, unleaded95 currently sells for €1.353/l and diesel €1.374, 28th and 16th most expensive on the Continent. Diesel is considerably more expensive than near neighbours, including Austria. Transport companies however get a 4c/l rebate following widespread protests. BELGIUM. The average length of traffic jams each day increased to 168km last year from 143km in 2012 and 122km in 2011, even as the number of cars on the road has stayed static reports Flandersnews.be. It’s down to a growing economy, more road works, a snowy winter and a rising spate of ‘nuisance incidents’ like accidents and trucks shedding loads says the ‘Transport Indicators’ report from the Flemish Traffic Office. Brussels is overall the busiest, especially the stretch of R0 ring road in the west, north of the E40 Ostend. The most congested road in the country however is the south eastern part of the Antwerp R1 ring road. The Guardian published an article in August, ‘Five reasons Belgium has the worst traffic in Europe’.